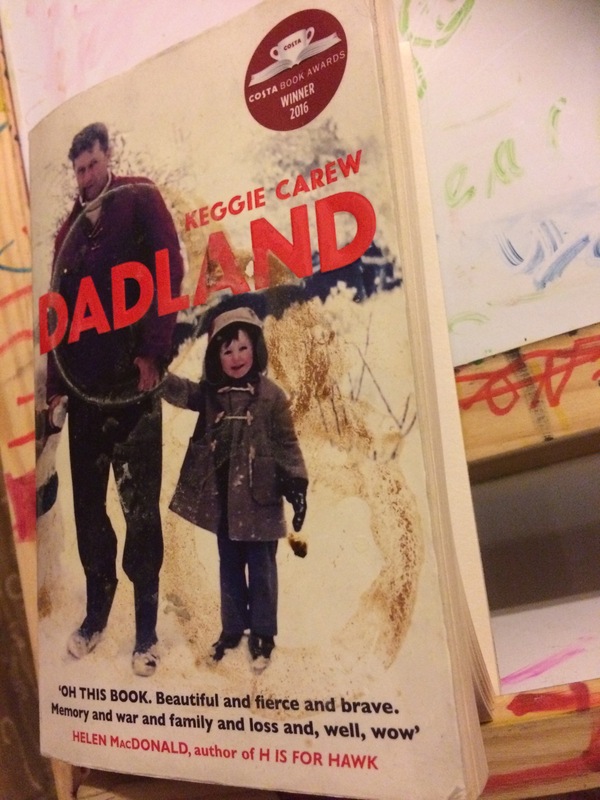 This epic masterpiece, Dadland by Keggie Carew, is a labour of love by a daughter for her father. As I read my well used copy of the book (photographed above, on a whiteboard that my own daughter uses to write ‘I love you’ messages to her dad), I fell a little bit in fascination with her father each time. The tales she told of his heroic exploits during the SWW mixed with his confidence to go against the grain made him some kind of Irish, James Bond maverick. However, daughters just want their fathers to be theirs, and when her dad introduces ‘step-mother’, well, there was no need for that rude awakening. Nonetheless, Keggie Carew goes back in time, to put together pieces of the man her father once was – because the start of dementia is taking her dad away. * Literary Lifestories is a content provider specialising in real life stories. * I’m currently writing a book with its protagonist (the ‘disputed child of an uncertain future’ mentioned in the 1957 novel titled City of Spades).